It seems I have stumbled upon a problem when using content pipeline. 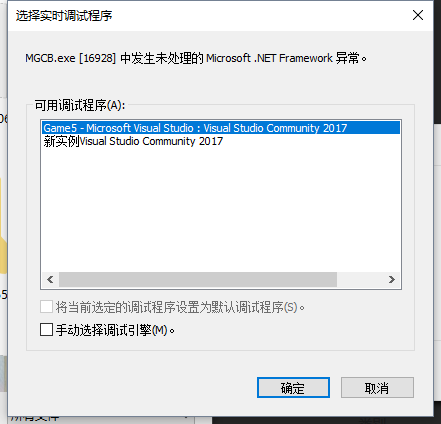 I have just freshly formatted my PC (am running WIN 10, build 1709) and the latest version of VS 2017. 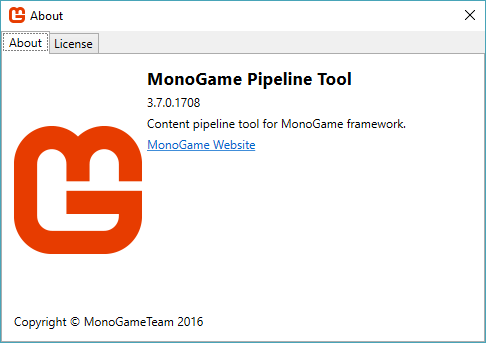 After reading that monogame just "levelled up" to 3.7 I figured to give it a go. After pulling a project from my GitHub, I noticed that the VS vas throwing me messages for not building my content prior to running the game (I forgot...), so I grabbed the pipeline tool, added the same content from what was previously used, and hit build, but nothing happens. the output window remains empty, and sometimes it crashes. Is anyone experiencing the same thing? If you need any further details just let me know. Hi friend, I also encountered a similar problem, I installed 3.7, and then build, when the popup real-time debugger error, I tried to install 3.5 or 3.6, as there are errors. I wonder if you have solved this problem? I communicate with you through the Bing translator.